This game came with a large sheet of paper that you unfolded. On one side was aa game. On the other side was a large face, with no features. The features came on a separate piece of paper that you would cut out and apply to the face. 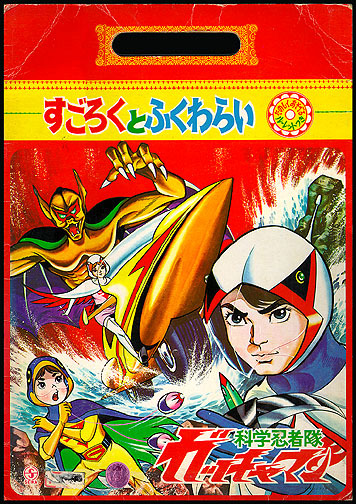 This was one of the earliest pieces of Gatchaman merchandise.